Brewers shouldn't tout their DIY ethic if they aren't doing it themselves. It was bad enough when small brewers used the fairly meaningless term "craft beer" to describe what they were making. Now they're rendering the term "independent" meaningless as well. Craft beer always meant whatever the brewers wanted it to mean. The Brewers Association, a beer industry group started by small brewers and representing more than 5,300 breweries, has its own definition of a "craft brewer." It's supposed to be a small, independent and traditional brewer. It produces 6 million barrels of beer or less and is less than 25% owned or controlled by an alcohol industry member that is not itself defined as a craft brewer. Now, the "small" part of that definition changed from a 2-million-barrel limit in 2010, when it became clear that Samuel Adams beer producer Boston Beer Company would far exceed that number (it produces more than 4 million barrels today). The "traditional" portion used to exclude pre-Prohibition brewers like D.G. Yuengling and Sons and August Schell, who used corn in the production of their beer to balance out U.S. grain that was inferior to that used by the breweries' founders in Europe. That changed in 2015, when the Brewers Association decided that Yuengling (and its nearly 3 million barrels of production) might be a useful ally. However, with Anheuser-Busch InBev buying up craft breweries including Goose Island, Elysian, 10 Barrel, Golden Road, Devils Backbone, Blue Point and Wicked Weed since 2011, the Brewers Association started getting nervous. The acquisition of San Diego's Ballast Point by Constellation Brands in 2015 and Petaluma, Calif.-based Lagunitas by Heineken between 2015 and this year didn't help, either. 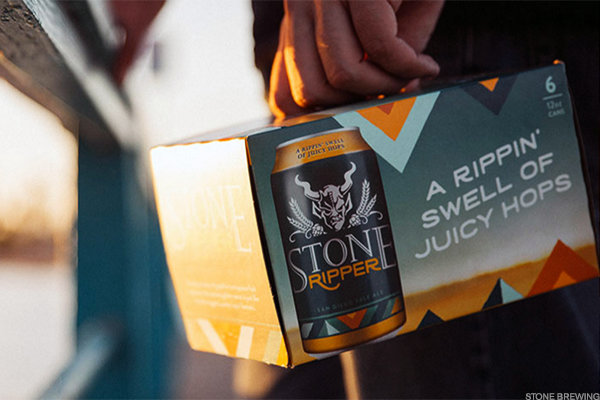 Throw in MillerCoors's purchase of brands including Saint Archer, Terrapin and Revolver, and suddenly big brewers had a whole bunch of brands with similar beer and back story to the rest of the Brewers Association's members. With larger craft brewers like Sierra Nevada and Boston Beer seeing sales drop thanks to competition from both the big brewers' brands and small brewers in local markets, the Brewers Association suddenly needed a way to differentiate craft beer's "us" from "them." Back in June, the BA launched the "independent" seal that qualifying brewers could slap onto their bottles or cans. Much like dairy's "Real" seal or the Cattlemen's Association's "Beef" check mark, the "independent" seal is the BA's way of distancing its product from others in the market. By mid-July, 1,250 brewers -- including enough of the bigger craft brewers to represent 50% of total craft volume -- were using this upside-down bottle insignia (complete with awkwardly broken syllables) on their packaging. However, that "independent" doesn't mean that a brewer is working on their own or getting by without help. By the BA's understanding of "independent," a brewer that distributes its beer on trucks operated by Anheuser-Busch Inbev- or MillerCoors-affiliated brewers are still "independent" -- even though they don't use actual independent distribution companies. That same definition of "independent" makes it O.K. for a brewer to produce its beer under contract at a brewing facility that it doesn't own. Most interestingly, it flexes to include breweries that have either sold stakes to other interests, sold partial or majority interest to private equity firms or have sold entirely to other breweries. Even if a large multinational brewer limbos under that 25% ownership threshold to buy a 24.99% stake in a brewery, that brewery is still considered "independent." That's a lot of help for "independent" operations. 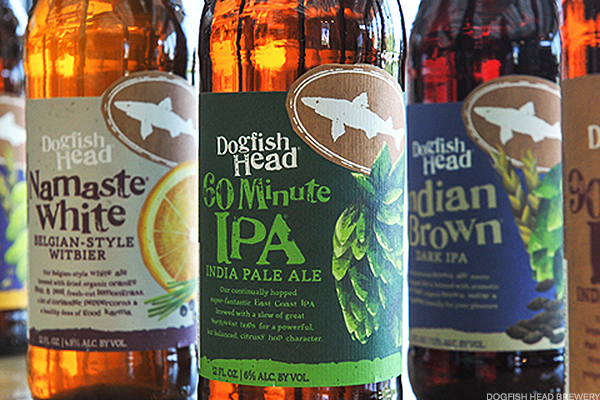 TheStreet Quiz: Do You Know Who Owns That Craft Beer You Are Drinking? There's also a lot at stake for that collective of Lone Rangers. According to Chicago-based market research firm IRI, a case of "craft" beer (and that includes big-brewer-owned craft) typically sells for $10 to $15 more than a case of premium (Budweiser (BUD , Coors Light) or super premium (Michelob Ultra, George Killian's) beer. From 2011 to 2016, the volume of craft beer produced in the U.S. increased from 5.7% to 12.3% of the total beer market. Last year, according to BA, craft beer accounted for 21.9% of the market by dollars, or $23.5 billion of $107.6 billion. If consumers decide that there isn't all that much separating small brewers' product from the rest of the market, that premium price could come into question. Thus the "independent" veil remains, even if there isn't much actual independence behind it. After years of covering the beer industry, we've taken a good look at some of the brewers that fit the Brewers Association's definition of independent and have been tickled by just how independently they've decided to take other people's money. The following 15 breweries are all at least partially owned by other entities and all stretch the definition of "independent" to its limits. Locations: Bellaire and Elk Rapids, Mich. Founded by Joe Short in 2004, the maker of Soft Parade fruit beer, Bellaire Brown ale and Huma Lupa Licious IPA announced that it was selling a stake to Lagunitas at the end of July. However, as of this year, Lagunitas is just a brand fully owned by Dutch brewing conglomerate Heineken. That makes Short's, Moonlight Brewing in California and the now-oddly named Independence Brewing in Texas -- all purchased by Lagunitas in the last year -- Heineken holdings. The size of this stake still means Short's is "craft" and "independent" by BA standards, but that's still Heineken money that most brewers don't have. Yes, that's the same TSG Consumer Partners that also owns a stake in Pabst Brewing Company. 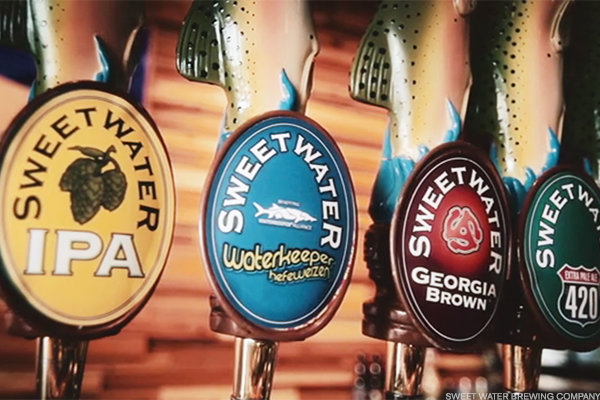 However, that partnership has allowed SweetWater to increase production to more than 220,000 barrels last year and allowed it to expand its distribution footprint to 18 states and Washington, D.C. Now that a new Georgia law finally allows SweetWater to sell beer out of its brewery's taproom, expect that number to jump a bit. 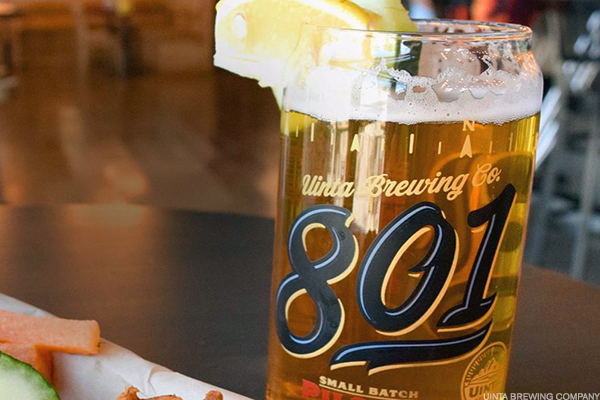 Uinta has faced a considerable number of challenges in its home state, Utah -- from stringent beer law to a recently introduced 0.05 blood-alcohol limit for DUI -- but this investment helped it find purchase elsewhere. 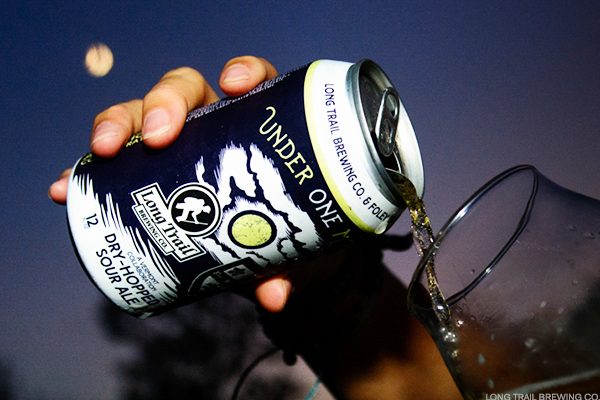 Not only did it help Uinta add staff and tweak its labeling, but it's placed the brewery on track to ship 100,000 barrels to 46 states in 2017. Founder Sam Calagione has been an outspoken proponent of craft beer and fiercely independent in his approach. That said, refurbishing a brewpub in Rehoboth Beach costs money, refreshing labels costs money, expanding distribution costs money, running multiple brewpubs and an inn costs money. Calagione took craft beer to television with Discovery's Brew Masters and took it upscale by bringing it into Mario Batali's Eataly food halls. In 2015, he decided he needed LNK's help to take Dogfish Head to the next level. He says he eventually wants to buy back the stake, but right now both he and Dogfish Head need the support. Locations: Brooklyn, N.Y.; San Leandro, Calif.; Fort Collins, Colo. So, Brooklyn's announcement in July that it was taking stakes in 21st Amendent and Funkwerks led to a whole kerfuffle about who owns whom. 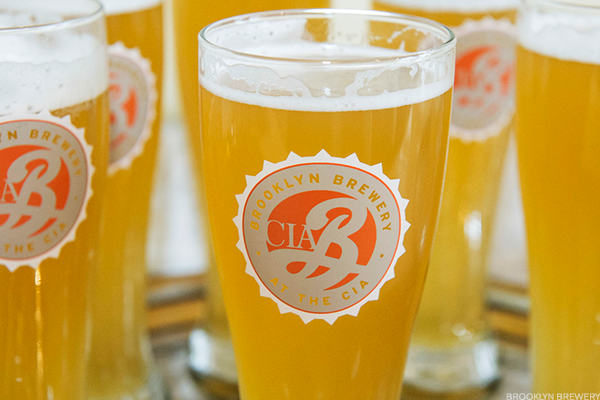 Back in October, Kirin bought a 24.5% stake in Brooklyn. However, Brooklyn says none of Kirin's money went toward buying stakes in those other breweries. It also says that Kirin isn't bent on buying controlling shares of either Brooklyn, 21st Amendment or Funkwerks. That's all fine, but none of those revelations make any of these partially owned breweries "independent." Locations: Kansas City, Mo. 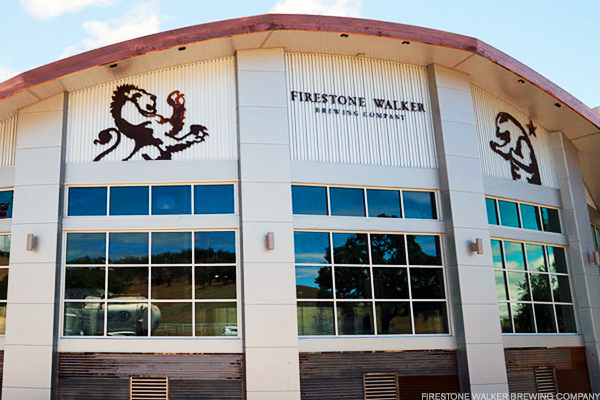 and Paso Robles, Calif.
Breendonk, Belgium-based Duvel bought Boulevard in 2014 and Firestone Walker in 2015. So how is BA not only O.K. with a foreign brewery owning U.S. craft breweries, but also with considering those breweries "independent." Because this family-owned Flemish brewery produces little more than 1.2 million barrels (under the limit) and is considered "craft" despite being the 12th-largest brewer in the U.S. and producing more beer than Ballast Point and Founders (30% owned by Spanish brewer Mahou San Miguel). It's a growing craft brand with more than 20 years under its belt, but it's a rare brewer that can independently conjure $90 million out of thin air. Tweaking your brand, going bicoastal and opening a brewery overseas isn't cheap. It's tough to blame Stone for doing this, but you'd think at least some of that money would have helped it avoid the layoffs it undertook last year. Shipyard grew out of Federal Jack's brewpub in Kennebunk before opening in Portland in 1994. During that time, founders Fred Forsley and Alan Pugsley have become not only fixtures in the Maine brewing community, but stewards. 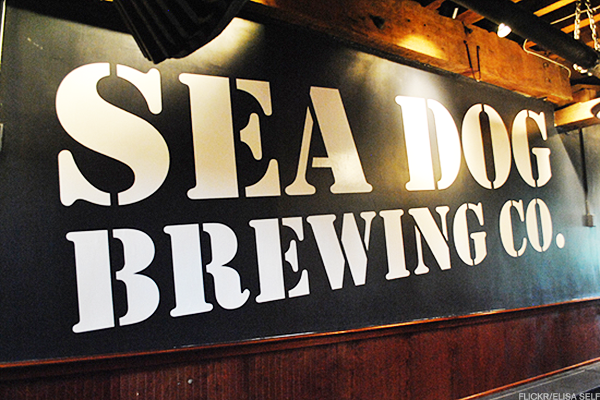 In 2003, they bought into the Sea Dog Brewing Company and its chain of brewpubs after it had already been in existence for a decade. In 2008, Shipyard took control of Casco Bay's line of beers after that brewery's 14-year run. Neither of those brands would exist today without Forsely or Pugsley's intervention, and their followers agree that they'd rather call them "alive" than "independent." Locations: Portland, Ore., and Berkeley, Calif.
We have no idea how CEO Carlos Alvarez's company qualifies under any portion of the BA's craft definition. It runs largely on Shiner beers from the Spoetzel Brewery in Shiner, Texas. It was best known as the importer of Corona until Crown Distribution -- now part of Constellation Brands -- took control. 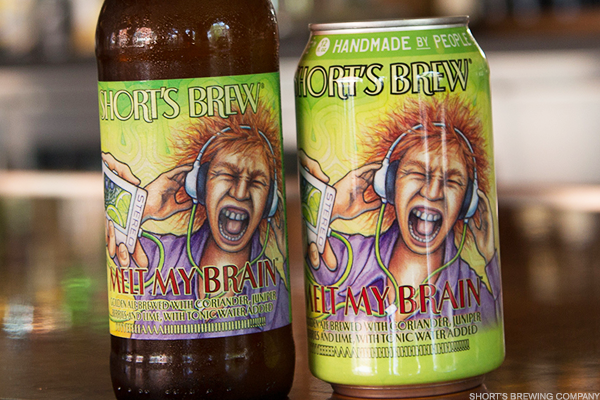 It acquired the pioneering Pete's Wicked craft beer brand before letting it wither and die. 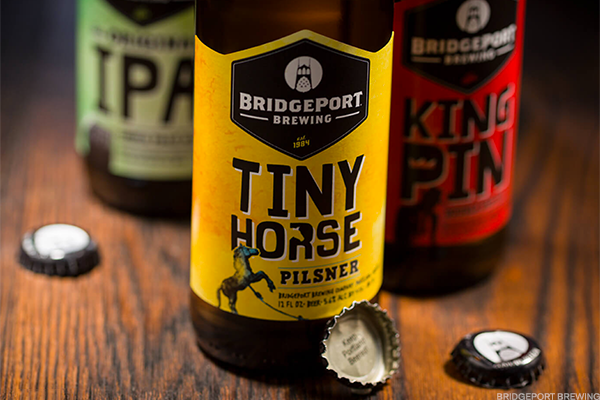 BridgePort hangs on by a thread in it hometown after years of detachment (and a round of recent layoffs), while Trumer Pils is just an offshoot of an Austrian brand. You can argue the merits of including Gambrinus as a "craft" brewer, but there's little "independent" about any of the breweries in its portfolio. The family behind the Fulham and Co. private equity firm has owned Long Trail since 2006 and has shown remarkable patience with it. It's rebranded Long Trail from a diversified, more German-influenced brewer to one with a stronger IPA portfolio to match those of upstart Vermont brewers like The Alchemist (makers of Heady Topper), Hill Farmstead and Lawson's Finest Liquids. Long Trail scooped up Vermont neighbors Otter Creek in 2010 and The Shed in 2011, but killed off the Wolaver's Organic line in 2015. At this stage of a private equity relationship, the other shoe typically drops and a company is usually sold. Fulham seems content to keep a rejuvenated Long Trail and Otter Creek running as long as it can. 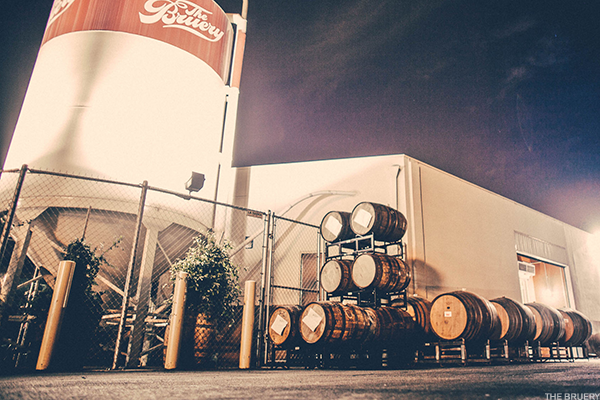 When Anheuser-Busch InBev's 10 Barrel moved into the neighborhood, Monkey Paw sulked. When neighboring brewers wanted to brew a protest beer, Monkey Paw wanted in. When those neighbors flew a banner plane over 10 Barrel, Monkey Paw cheered. 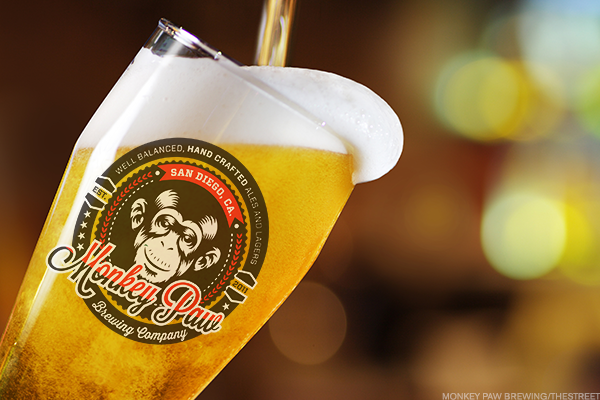 But when it came time to do its own thing and compete, Monkey Paw came up short and sold to far more successful San Diego-area brewery Coronado. After roughly six years of existence, Monkey Paw's legacy is inextricably tied to a brewer it hated. If the brand succeeds from this point on, it will only be because it followed 10 Barrel's lead and sought help from a brewer with more experience and deeper pockets. This is a slightly more heartwarming San Diego buyout. After opening in 2002, Alpine made a name for itself with bold, hop-heavy IPAs like Duet and Nelson. However, by 2014, it needed far more resources than it had and teamed up with Green Flash on brewing and packaging. That eventually led to Green Flash taking over Alpine completely, increasing its distribution and putting it into a bigger pub. 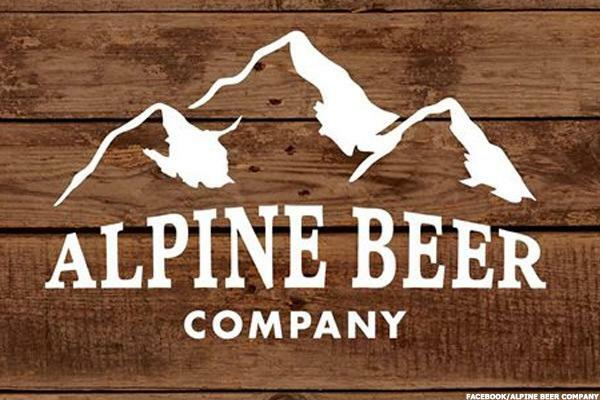 Alpine owes its survival to Green Flash, even if the geeks say Alpine has lost a bit of its edge since the deal. Locations: Lyons, Colo.; Brevard, N.C.; Austin, Texas; Salt Lake City, Tampa, Fla.; Comstock Park, Mich. So how did a little brewery from Lyons that got famous for putting craft beer in cans (a once novel idea) become Oskar Blues Brewery Holdings? Well, Fireman Capital had invested in Utah's Wasatch and Squatters back in 2012, but made a far bigger splash by teaming with Oskar Blues in 2015. 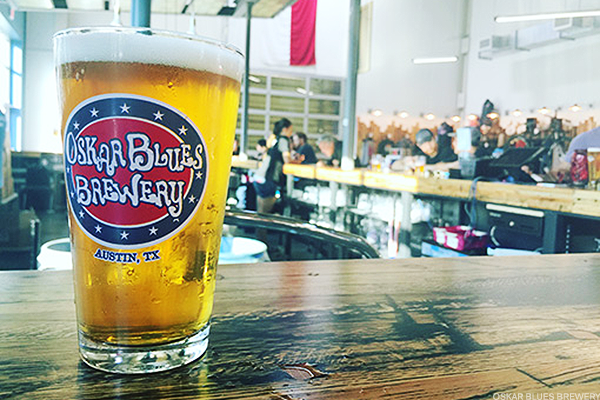 That same year, Oskar Blues bought into Perrin and began expanding its own reach from Colorado and North Carolina to Texas. Now distributed in all 50 states, Oskar Blues made a successful pitch to Cigar City and brought them on board, allegedly after Anheuser-Busch InBev had already floated an offer. While this portfolio's owners made their bones building Reebok from the ground up, they've gotten the hang of beer pretty quickly. Being an employee-owned brewery doesn't mean you won't get sold: it just means more people get a piece of the action. 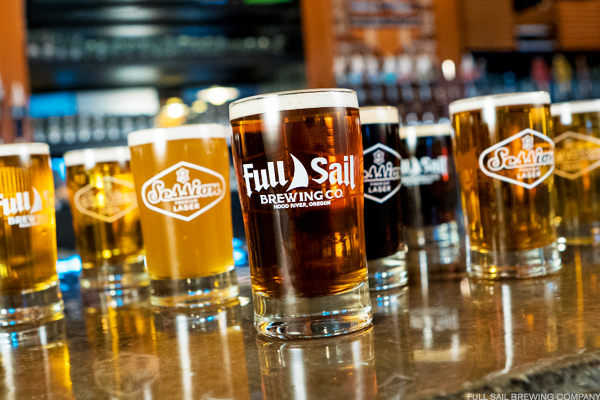 Founded in 1987, Full Sail avoided financial distress in the '90s by selling shares to 47 employees. Those same employees voted to sell the company in 2015 and received a nice boost to their retirement accounts for their trouble. Encore, meanwhile, got a brewery to go with its farm-raised mussels, quinoa, pet vests, solid brownie snacks, cosmetics and frozen strawberries. Why would a niche brewer that makes 15,000 barrels a year want to sell to a private equity firm that owns ice cream shops, fishing products, a womenswear brand and a chain of blow-drying salons? To grow. As we said, there are 5,300-plus breweries out there, and it takes some serious capital to move to the head of the pack. The Bruery actually applies some craft to its barrel-aged beers, but it's tough to get by on craft alone if you have bigger aspirations. That's where a little less independence pays off a lot.